Hebei Jinan Fastener Co., Ltd.
We produce the high strength hex bolt nut and washers in size M12-M30. The high strength hex bolt nut and washers meets the standard of ISO, Germany, JIS B 1186, and America. Besides, the product has been exported to customers in Europe and America, quality has been generally recognized. 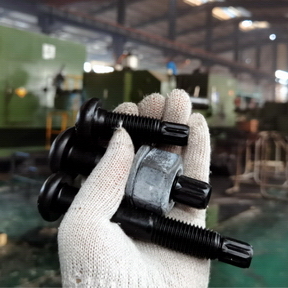 http://www.jnfasteners.com Copyrigth Hebei Jinan Fastener Co., Ltd. mainly products: Shear connectors, High strength hex bolt nut and washers, Shear stud connectors, Heavy hex bolts and Structural bolts.